Lovely printed dress inspired by decades past. 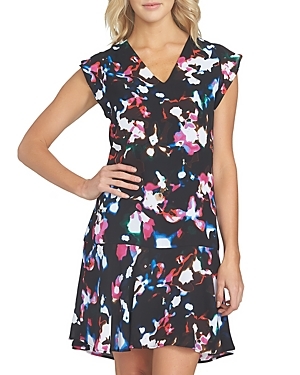 Features a modest midi silhouette with a collared neckline and front button closures. So silky fabrication with an easy, femme shape. Two pocket details. Hidden side zipper closure. 1 by 8 Beaded Pleated Evening Gown - Women's Color: Brown Oth. Gender: Female. Age Group: Adult. Designed with romantic bell sleeves and a fine ribbed knit, 1.state's midi-length dress is the perfect season-transitioning staple for fall. When the temps dip, layer yours with a fur vest and your favorite booties. 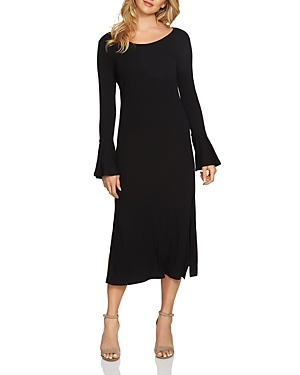 Swingy bell sleeves with ruffled elbows add effortless charm to this flowy Lbd from 1.state. 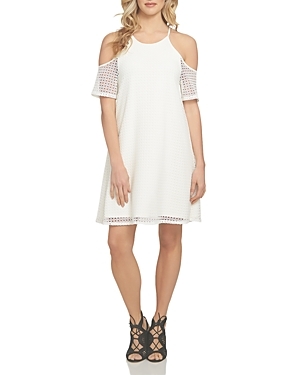 1.state upgrades a wardrobe essential with this mididress, featuring a stylish bell-sleeve silhouette. Bouquets of gorgeous flowers sweep across this lovely little shift dress from 1.state, styled with retro-inspired bell sleeves and an always-stunning V-neckline. Cast in the season's most coveted fabric, 1.state's versatile shift features stately bishop sleeves and a posh, crush-worthy finish. 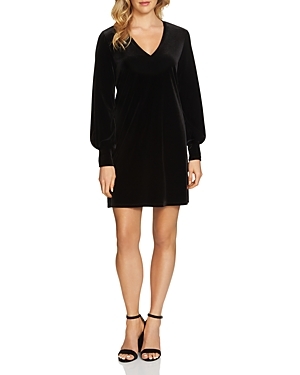 Sweetened by velvet texture, 1.State's dress is romantically enhanced by bishop sleeves that billow out above fitted cuffs.